If you’re hankering for a session on the roulette wheel but your local casino is just a little bit too far away then playing online might be a decent option; at home the drinks are free (although you have to make them yourself) and you can watch telly at the same time. This version is called 3D Roulette and it’s from Ash Gaming; 3D in this respect means a a realistic-looking roulette wheel with plenty of colour and depth. Standard roulette rules are in play here and this is a European table with just one zero. The betting table is in the forefront with the slowly rotating wheel behind and although this means the wheel is a little confined, it makes placing the chips nice and easy. Clicking the ‘More Bets’ button will bring up some more complex betting options including red/black splits and the French-style neighbour options. It’s all pretty simple and get things started by selecting your chip size in the bottom left hand corner; these range from £0.10 to £100 per chip and you can place multiple chips per spin. Once you’re happy with your chip placements it’s time to spin the wheel so just press the ‘Spin’ button at the bottom of the screen. If you have enabled the sound effects you will hear the ball cracking it’s way round the wheel before coming to a stop, at which point a lady will tell you which number is the winner. Having the sound enabled also means you must endure the tinkly and moderately grating piano noises. Following the spin any wins will be paid out and you are free to use the buttons at the bottom to repeat the bet or clear it and start again. You can read our in-depth guide to roulette betting by clicking here and if you fancy testing out some strategies, click here for more information. 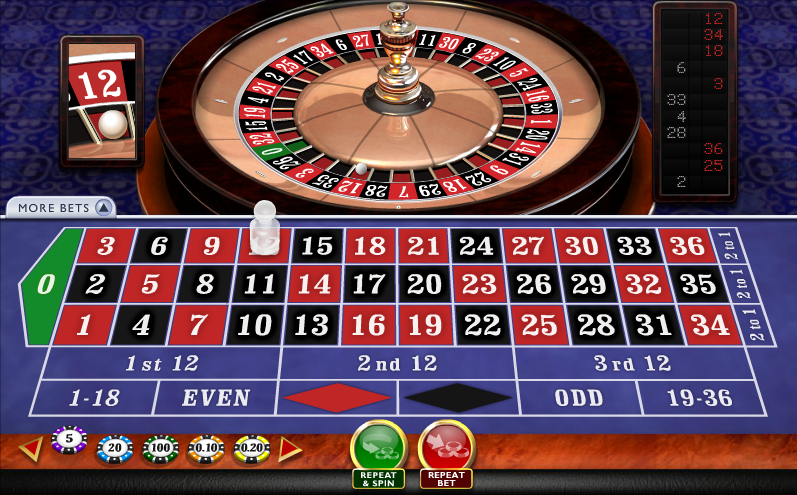 3D Roulette is a nice and simple version of a casino classic which looks good. Ash Gaming don’t publish their RTPs so we don’t know if this pays as well as the casino version. The payback should be 97.30% as it is with games such as Net Entertainment’s French Roulette.